Go for the gold! These glossy gold Kaizens are sure to upgrade your style. See heads turn when you walk into a room and they see the gold shimmer on your brand new Kaizen. KAIZEN is the Japanese philosophy of constant improvement. Kendama USA have applied this concept to our production process, aiming to improve every product that we put our name on. Each part of the Kaizen Kendama has been meticulously thought out by the Kendama USA team, making enhancements with the future of Kendama play in mind. The result is an affordable, premium Kendama specially crafted for the serious enthusiast. 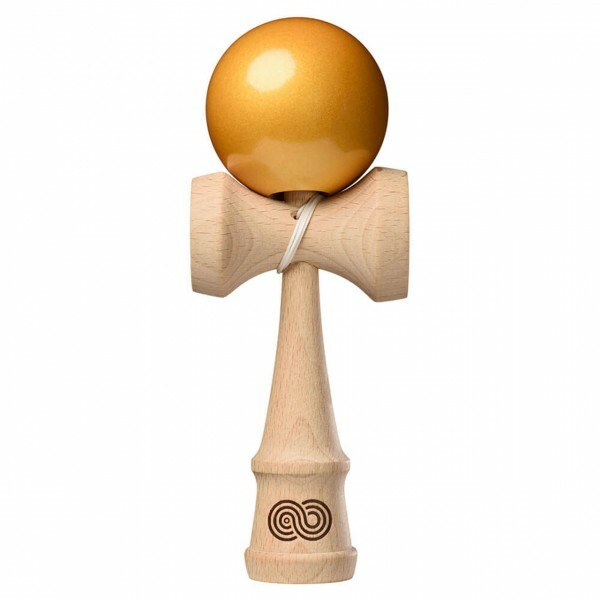 The Kaizen Kendama features a 3 piece construction with traditional Japanese style handle assembly. 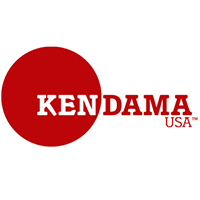 Kendama USA have updated the Ken shape for precision balance, and the tama bevel has been widened for enhanced play. Kendama USA have intentionally set our starting spike length shorter out of the box. This allows the sarado to settle over time, eventually bringing the spike into an ideal length after a few sessions without going past the "point of no return." Customer evaluation for "Kaizen Beech Wood - Gold"